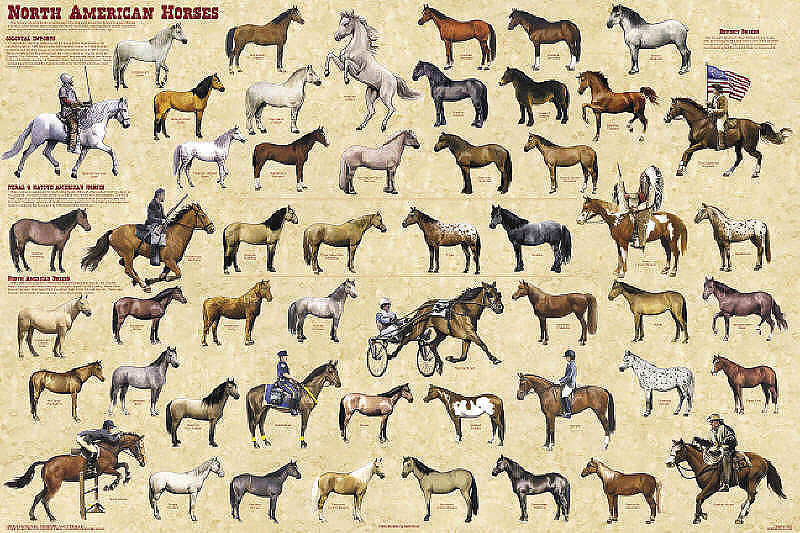 The next section shows the feral and Native American horses. The term “wild” refers to an animal that has never been domesticated. “Feral” refers to domesticated animals that have returned to the wild. 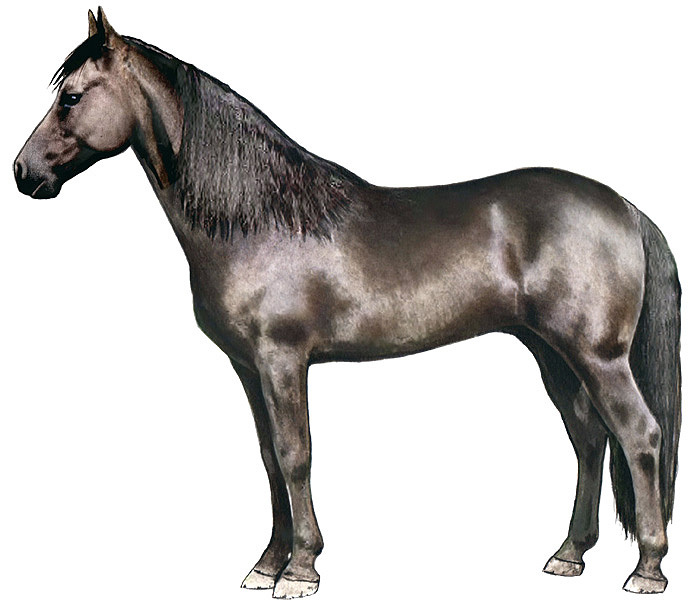 All North American feral horses are called “mustangs,” but there are several very important breeds. 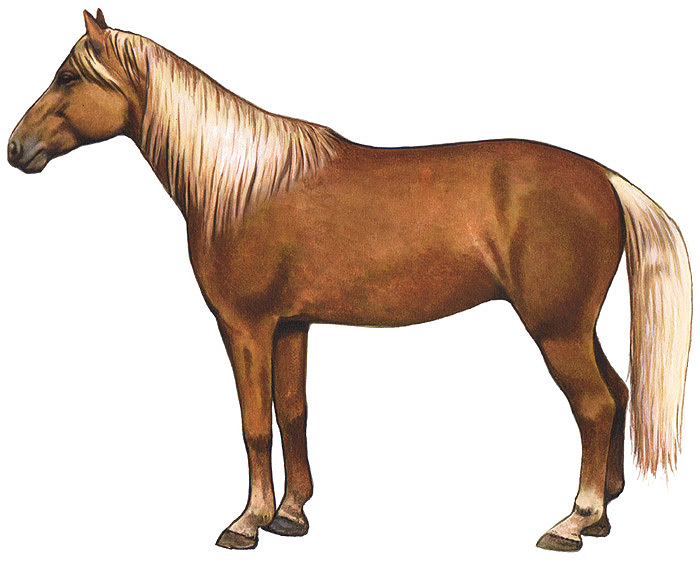 The last section shows the many other breeds that originated in North America. 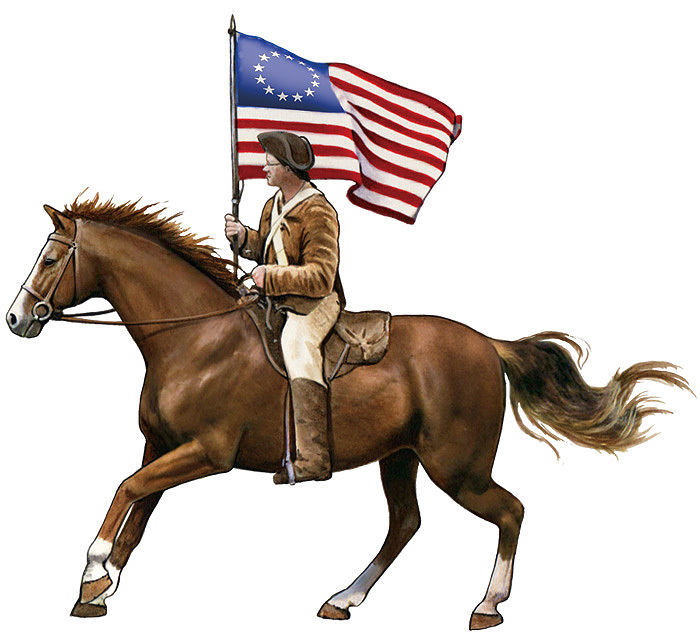 The importance of the horse to our nation is conveyed through illustrations showing ways they have been used by conquistadors, patriots, the U.S. Army cavalry, cowboys, modern-day police and others.